From LDP, takes on Penchala Link to Mont Kiara through Penchala Tunnel. Pass the toll plaza and head down toMont Kiara. Keep left. Once reached Mont Kiara, turn left until you see Kiara Apartment on your left. Go straight and until you pass the third traffic light, and turn left. Drive straight and you see Las Vacas after Mont Kiara Police Station and Baskin Robbins. The shop is open daily from 11am-11pm and closed on Mondays. 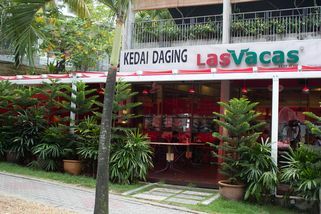 Thanks to a very warm reception, Las Vacas has opened another outlet at SS5, Kelana Jaya. Fresh good cuts, the best is still the Beef Wraps! A simple great idea. 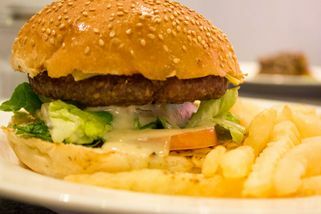 The burger was also good; the patty was excellent but the bread wasnt the freshest. Great food with good service! "When you wanna get your protein on~"
Nuff said, this place is the best meat place. For the kind of price you can eat to your hearts content. I came here once, and it took me a million years to make up my mind on what to eat, because I'm not really a huge fan of meat. To add onto that, I'm not a huge fan of burgers either, so I was pretty stumped. In the end I gave in and got a burger, which was ok. Everything here is really pricey, though, not sure if I am willing to pay this much for the quality. Reckon I can find something that's more value for money, especially for steaks and such. On a good note, their service is GREAT. Knowledgeable servers (my pet peeve is servers who barely know what's on their menu, which seems to be way too commonplace these days) and the ambience is pretty chill as well. If you love steaks, but want to avoid dressing up for fancy fine-dining restaurants, this is the place to go. 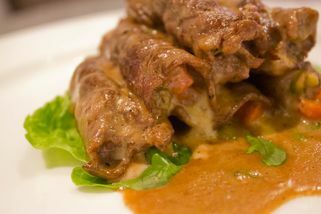 You could choose your favourite cut, and your prefered doneness, and they would always come out just the way you wanted. My choice was the Angues, Rib eye steak, which came with a nicely charred exterior, juicy meat (medium rare), and plenty of flavours. The steak was served just with a simple salad. Condiments include various type of Mustards, but no sauce (which would have been nice). 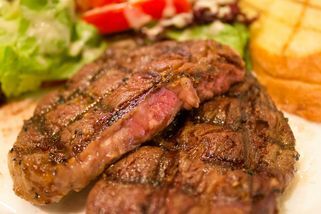 Although it's casual, a decent size steak could set you back nearly RM80 (higher if you go for Wagyu). So be prepared to spend a little bit. Alternatively go for the Angus. I went here the last 3 weeks because that day..am really in the mood of steak..so, am make a cute face to my collegue to accompany me to eat here! fuuh..thank god 'ey agree.. I choose 300gm of lamb..for lamb chop, then my friend eat 400gm steak and 500gm burger! wohoo..can you imagine u eat half kilo's burger? he really have a gut to eat that many! well..as usual..i dont really like to eat raw or medium meals..so, i ordered well-done lamb chop..but seems like their well-done is medium, and their medium is raw :( bad service! 1. Steaks are cut to YOUR preference. You can ask for 250, 300, 350, even 500g steak if you want, and grilled to perfection. 2. No frills, no fancy-schmancy butlers. 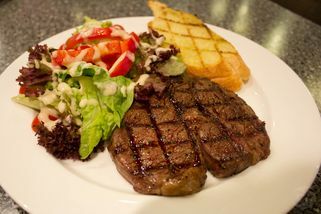 Just good steak, and good healthy sides or garlic bread and salad. 3. Fantastic burgers. There's small, medium, large, extra-large. Even comes with egg and beef strips. 4. Staff are very friendly and knowledgeable. 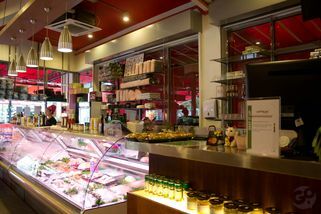 They can recommend you cuts suited to the dish you're making, or dishes suited to the cuts of your choice. 5. Their Beef Wraps are one-of-kind. Do NOT miss it. It's compulsory that you try it. 2. Needs more lighting outdoors at night. Really love their selections of fresh meats, steaks (top favourite: lamb chop and Ribeye angus steak) and their famous Beef Bruschetta. mmmm yummy.. The venue is pretty cosy. Got a wide display of their fresh meats. That caught my attention pretty quickly when I walked in. I'm officially a fan now.